BS, 20 Apr 2014Extremely satisfied with the phone in this range. 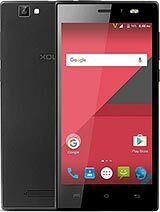 Most of the things are good, just few cons w... moreyes....always keep the xolo apps turned off battery remains stable.Does anyone got this handset in gold colour? Anonymous, 19 Apr 2014hi,friends i bought this mobile yesterday at 4 o'clock is ur headphone quality is good? Ankur , 17 Apr 2014Hi Friends, I using this phone last 10 days, i am facing heating problem and low sound prob... morefor low sound issue donwload the MTKengineering app from the playstore and increase the loudspeaker volume from there and as far as heating prob...it is with rest of the devices too in this range. raj, 10 Apr 2014I am going to purchase this mobile. 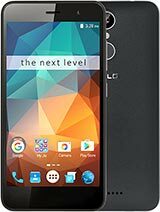 Could anyone please tell about call quality and sound qual... moreIt's true that ringtone volume is a little low, But satisfactory. Sound clarity is excellent, for both call and song. One of my friend bought q700s. I found that the phone is very smooth, and heavy games runs on sd card without lag. 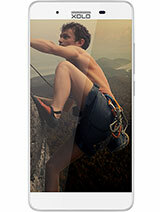 AnonD-251350, 10 Apr 2014Hi guys i have been using this amazing mobile from last three months.. 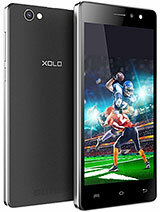 I have two mobiles gran... moreIs xolo Q700s has a good camera experience and is it camera better than grand 2. Denendra Kumar, 12 Apr 2014Initially Phone is good following problem i faced 1. Hang 3.6 hrs battery back up only hi,Denendra Kumar first dischrage it complete and then charge it for around 6 hrs(for eg. keep the phone on charging for whole night)after then,you are all good.if possible don`t use xolo power and xolo secure,they drain battery. 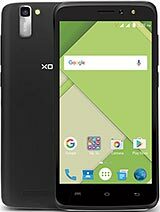 Anonymous, 11 Apr 2014Guys..i worked as promoter of xolo mobiles..so that i had used xolo q700 ..i know that its an ... morexolo q700s is lot more better than xolo q700. basically xolo q700 bags a quad core but underclocked due to some issues whereas xolo q700s is not underclocked......so xolo q700s is lot more better than xolo q700. srikant, 10 Apr 2014guys confused between xolo q700s and canvas 2.2. well my requirement is a good camera. goo... morewifi direct is on both and otg is not supported in both too.